There is something about soup that is just good for the soul. Even though winter is (hopefully!) long gone, this heart-warming meal is perfect for some quality family time. And did I mention is freezer-friendly? It’s nice to know after a long day or a crazy spring break, we’ve got something healthy and hearty waiting at home for us. Stockpiling can save us a bundle. Simply amass a small stockpile of items when they’re at “rock bottom” prices or when you find a great sale. Find out more by opting-in below to have the Stockpile Printable sent straight to your inbox! I have a feeling this soup, and a nice family dinner to go with it, will hit the spot no matter the time of year! Step 1: Line cookie sheet with foil; brush foil with olive oil. 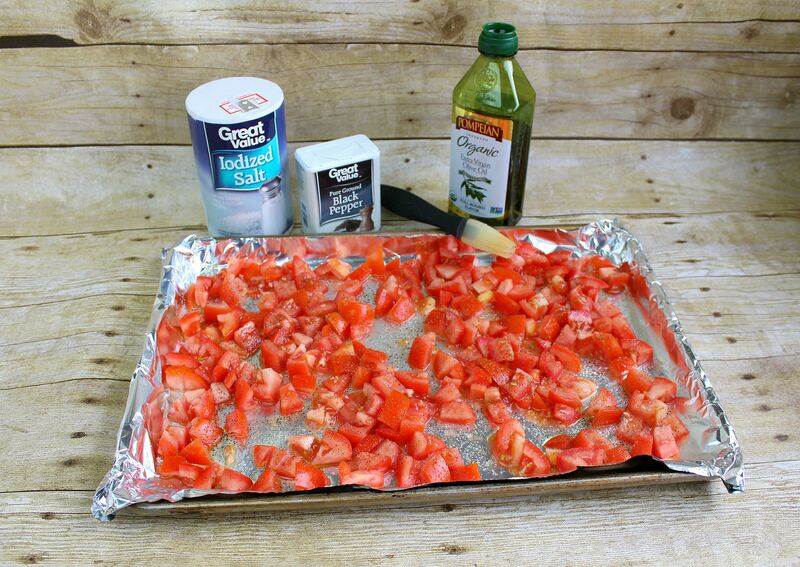 Spread tomatoes over pan & brush with oil; sprinkle with salt & pepper. Roast tomatoes at 400 degrees for 30 minutes; set aside. Step 2: Melt 4 tablespoons butter in large stock pot over medium-high heat. Saute onions & leeks until tender, about 5 minutes. Add remaining vegetables; sauté additional 10 minutes over medium heat. Add more butter or olive oil if necessary. Step 3: Add broth to vegetables; stir in roasted tomatoes and white beans. Bring to boil; reduce heat and simmer 30 minutes. Step 4: Melt remaining 3 tablespoons butter in medium saucepan over medium heat. Whisk in flour to create roux; add milk & whisk continuously until milk begins to bubble and thicken. Reduce heat to low; stir in dill. Remove from heat. Add milk mixture to soup; bring just to boiling then reduce heat and simmer 15 minutes. 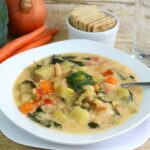 My kids are not normally big fans of veggies but apparently the trick to making them happy is to just put them all into soup form–they LOVED it and couldn’t get enough, even though it was packed full of weird-looking vegetables. 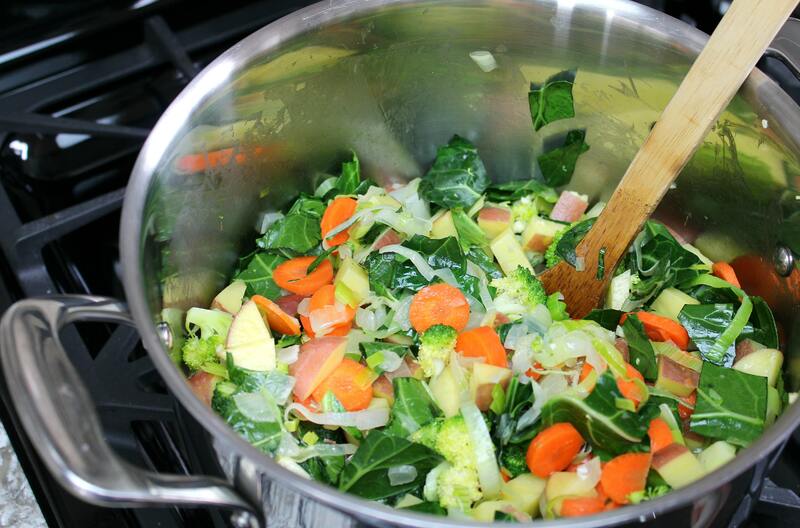 This soup is an excellent way to get your kids to eat more vegetables! 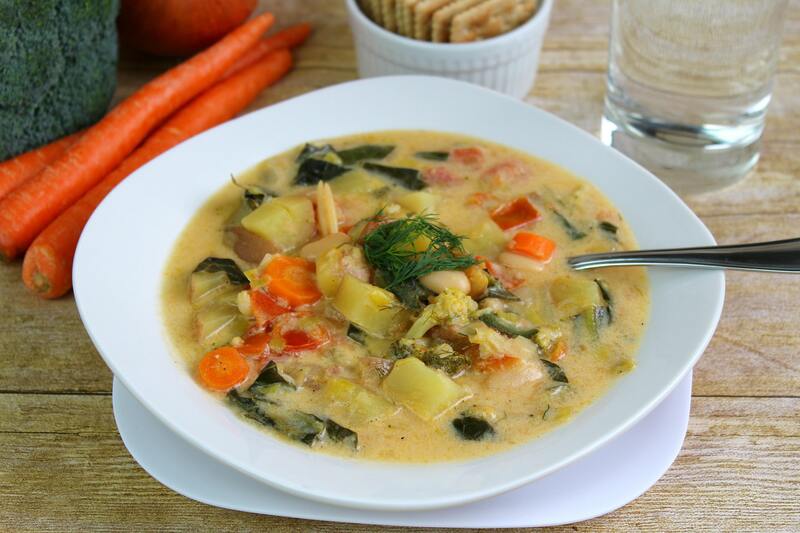 It is also a perfect soup for Spring! Line cookie sheet with foil; brush foil with olive oil. Spread tomatoes over pan & brush with oil; sprinkle with salt & pepper. Roast tomatoes at 400 degrees for 30 minutes; set aside. Melt 4 tablespoons butter in large stock pot over medium-high heat. Saute onions & leeks until tender, about 5 minutes. Add remaining vegetables; sauté additional 10 minutes over medium heat. Add more butter or olive oil if necessary. 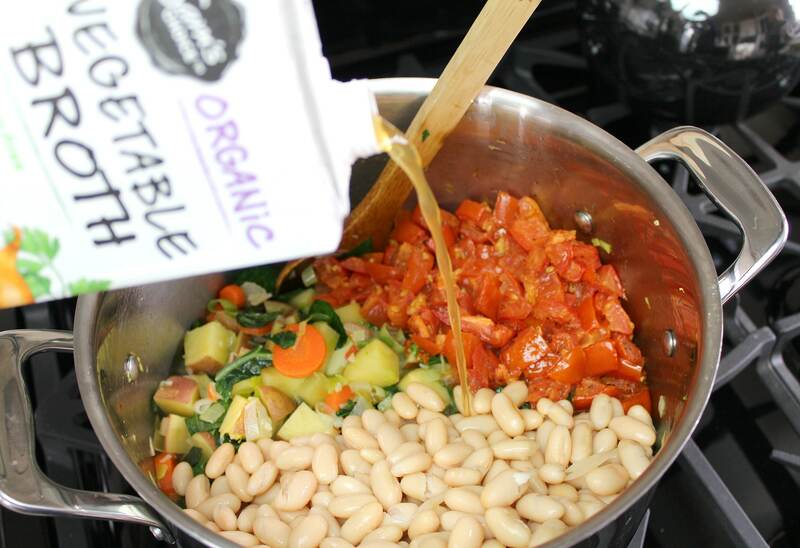 Add broth to vegetables; stir in roasted tomatoes and white beans. Bring to boil; reduce heat and simmer 30 minutes. Melt remaining 3 tablespoons butter in medium saucepan over medium heat. Whisk in flour to create roux; add milk & whisk continuously until milk begins to bubble and thicken. Reduce heat to low; stir in dill. Remove from heat. 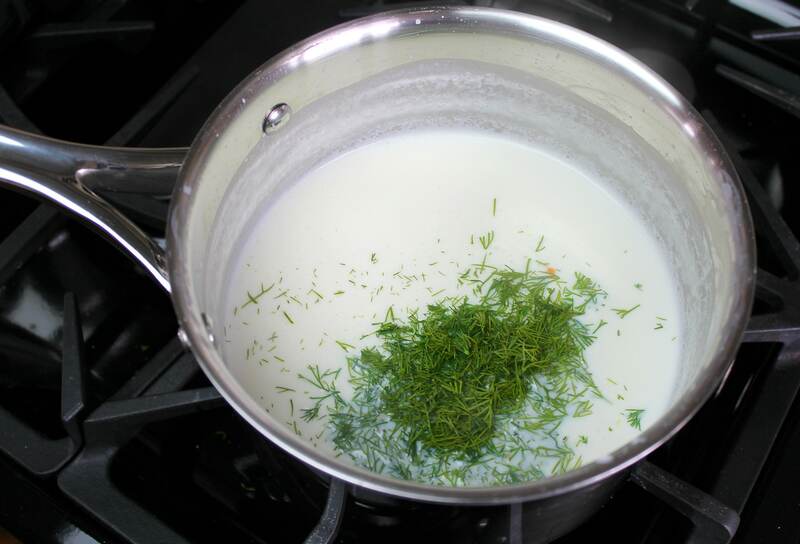 Add milk mixture to soup; bring just to boiling then reduce heat and simmer 15 minutes. Thank you for all the great tips! I have been start blog commenting a short time. So much to discover and keep up with! But I love it all and set up that Food blogs are the Best! I am making amazing friends along the manner! I can’t wait to plow in to more of your links here and learn! I like very much cooking and also loves the food blogs. I am interested to see more food recipe blog posts! Sharing with each other is a blessing! Thank you again! Oh my this soup looks delicious! 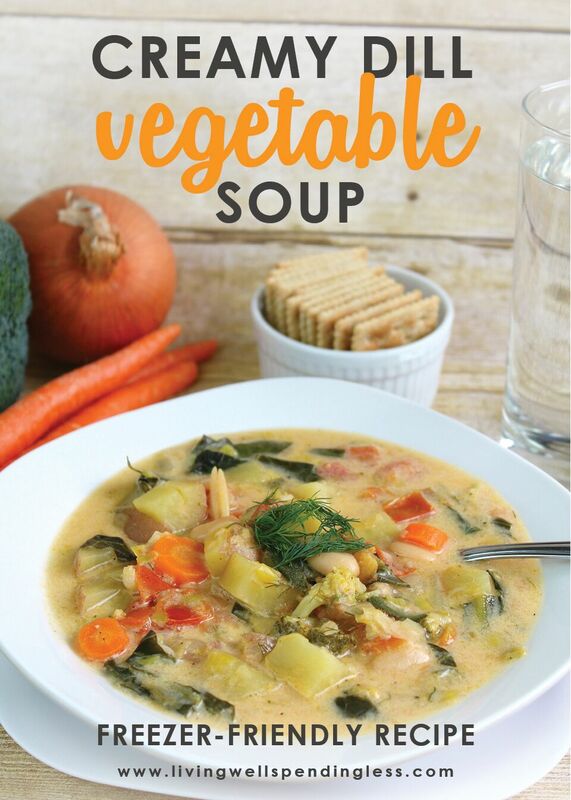 I LOVE soup, especially when it’s loaded with veggies. And since it doesn’t look like winter wants to leave I will definitely be making this soon! Vegetable soup! It is my food weakness. I cook soups almost every day for my family andof course i am always looking for new and healthy recipes. This one is what i need. 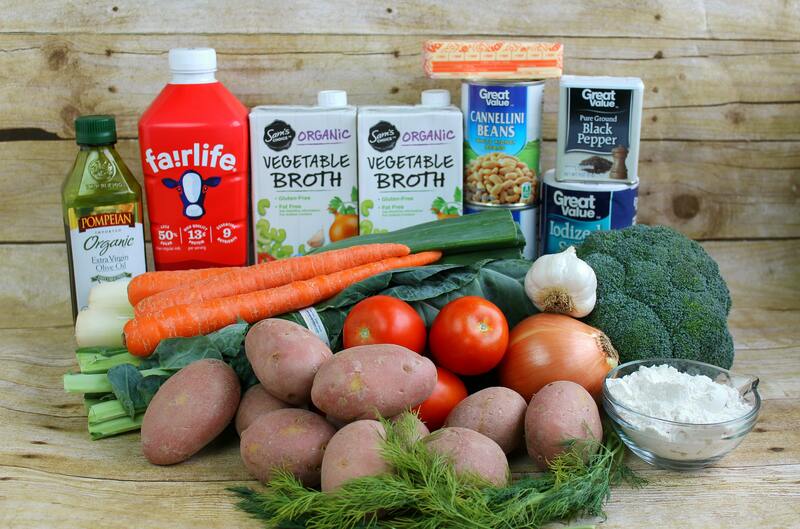 Broccoli, potatoes, tomatoes, carrots… I wonder if i could replace milk with a nut milk, rice or soya milk. These days I am doing a green juice cleanse for weight loss https://cancancleanse.com/index.php/cleanse/new-core-green/, and green juice is pressed of vegetables. Can’t wait to prepare your soup.